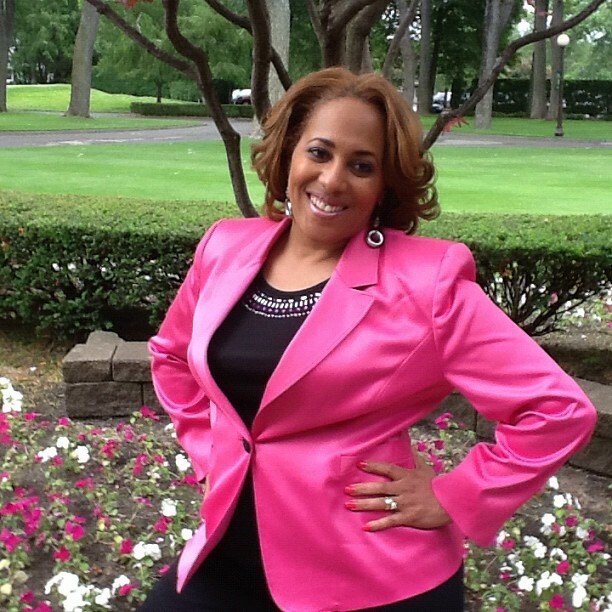 Pam Perry is the founder of Ministry Marketing Solutions. Her latest venture is Branding SuperStar University, an entrepreneurial program geared toward providing social media, marketing and PR solutions for businesses and organizations to get exposure and build quality relationships within the media and multicultural marketplace. I contacted Pam Perry at the inception of my career to request that she become my first PR mentor, prior to transitioning my company (Envision Global Corporation) to its current global management resource platform. We had never met in person, but there was just something magnificent about her and her social media expertise that I was drawn to; her immediate agreement to serve me in this capacity was the beginning of a loving sister/colleague relationship. Over the past nine years, we’ve called upon each other numerous times to for professional advice, to vent out frustrations, and mostly, for a great laugh. Her infectious smile and energetic demeanor make for the consummate professional and friend. Pam: I gain inspiration from the bookstore first. When I visit, I hit the best-sellers, then, all of the magazines. I usually take the items purchased from the bookstore and read them at my next favorite spot, the coffee shop. Another place I love is the library, because it’s quiet. I like to read in the children’s section, because the books are brighter and it’s more fun there. Pam: Susan L. Taylor. She started at foundation level; beyond beginning her career as a fashion editor for Essence Magazine, she was very spiritual, which was very attractive to me. Instead of just looking at the pretty pictures, I religiously read her column once she became editor, In the Spirit. When we finally met and I told her how she inspired me, she treated me like a friend. She gave me the spark that I needed to really believe I could promote books, but books that I really love. To this day, I love magazines, books and fashion because of her. Her life embodies who she is and what she does, especially as she has entered a new phase in life by reaching back and helping others. Pam: I’m a dream-builder. My hope is that people will say, she helped me build my dream; she helped me become a star. If they can take the hard work and the truth, I can help them! You may find Pam Perry at http://www.pamperrypr.com. Follow her on Twitter @PamPerry. This entry was posted in Legacy Lessons from the C-Suite, The CEO Pundit™ and tagged Book, Branding, Branding SuperStar University, Business, Business Services, Candace Reese, CEO, Change, Chief executive officer, Empowerment, Empowerment Speaker, Encouragement, Entrepreneur, envision global corporation, Essence, Executive Coach, Facebook, Global Branding, In the Spirit, Inspiration, Inspirational Coaching, Internet Marketing, Ladies Making History, Law of Attraction, Leadership, Management, Marketing, Marketing and Advertising, Ministry Marketing Solutions, Motivation, Networking and Peer Support, Oprah Winfrey, Pam Perry, People, Personal Development, Philanthropy, Professional Speaking, Public relations, Purpose, Self-Improvement, Small business, Social Media, Susan L. Taylor, Teamwork, The CEO Pundit™, Twitter, United States, Women, Women's History Month. Bookmark the permalink.